and lots of simple nostalgic charm. A few things have changed since that first look in the Holiday Housewalk. And isn't her room (okay- entire house- amazing?! I shared a peek at our bedroom here earlier this season. 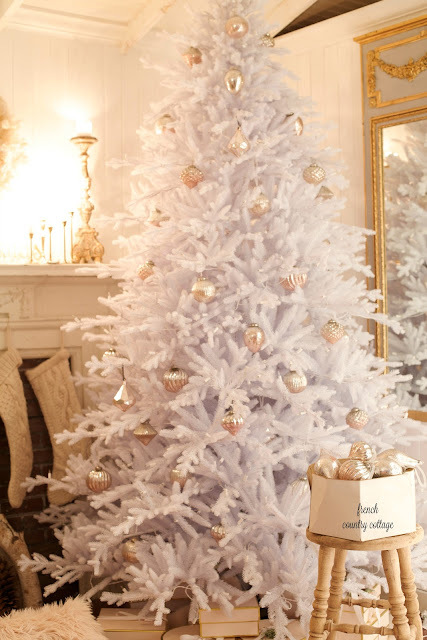 and our frosted tree all covered with pretty blush baubles. and placed fresh greens and bits on the nightstands. 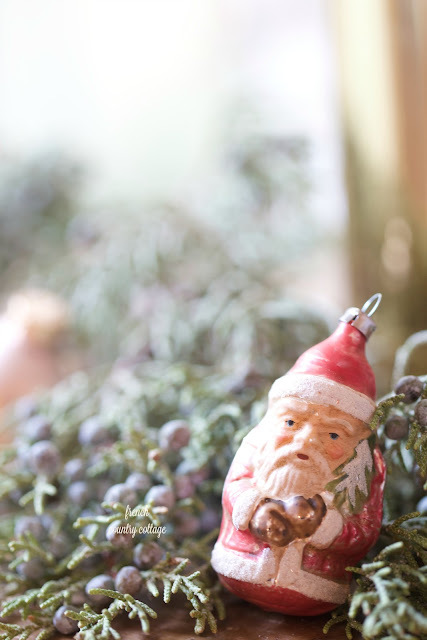 and a wee little vintage inspired Santa taking a nap on the juniper. And for our tree- we have a frosted tree in the bedroom that is one of my favorites. But a secret... I originally planned to put up a white tree in here this year for a different look. 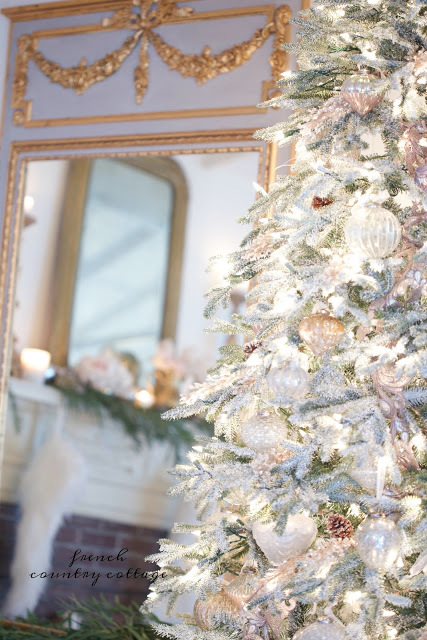 A white tree seems to be a little extra sparkly. Extra bright. maybe it even has a little bit more Christmas magic. new tree for Balsam Hill and it just arrived the other day. know that it knocked my socks off. and you will find a few more of them here and there as well. I set this tree up in the corner right next to the antique mantel. 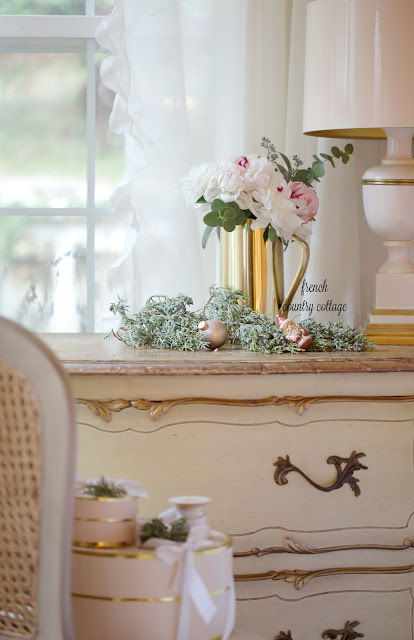 And styled the mantel very simply as well. 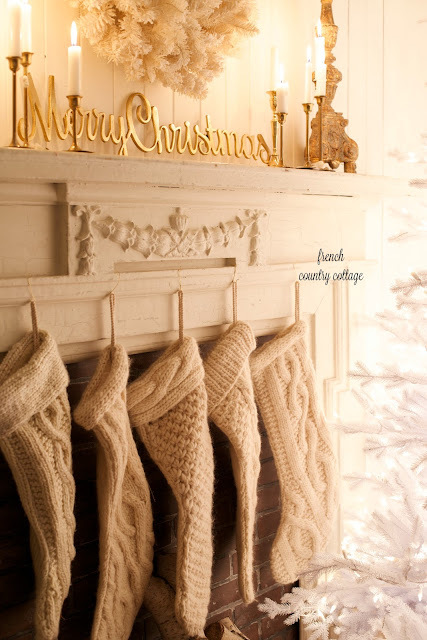 Just a few chunky knit stockings and candles. which Sweet Pea thinks are hers. and I snapped a quick photo. next week. It is amazing how just a couple changes- and the whole look changes. 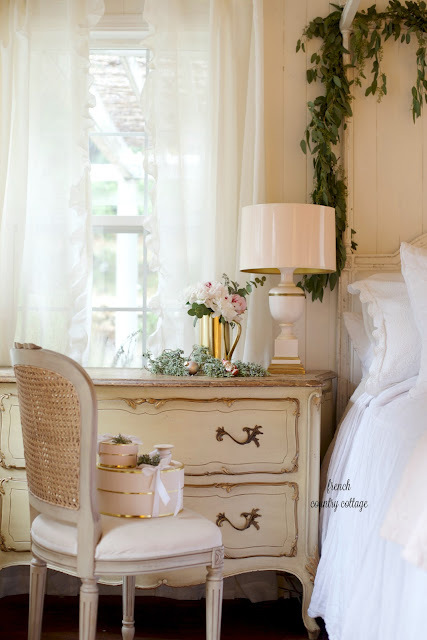 I am so excited to be joining this amazing group of bloggers sharing their bedrooms today. which I am so excited about. 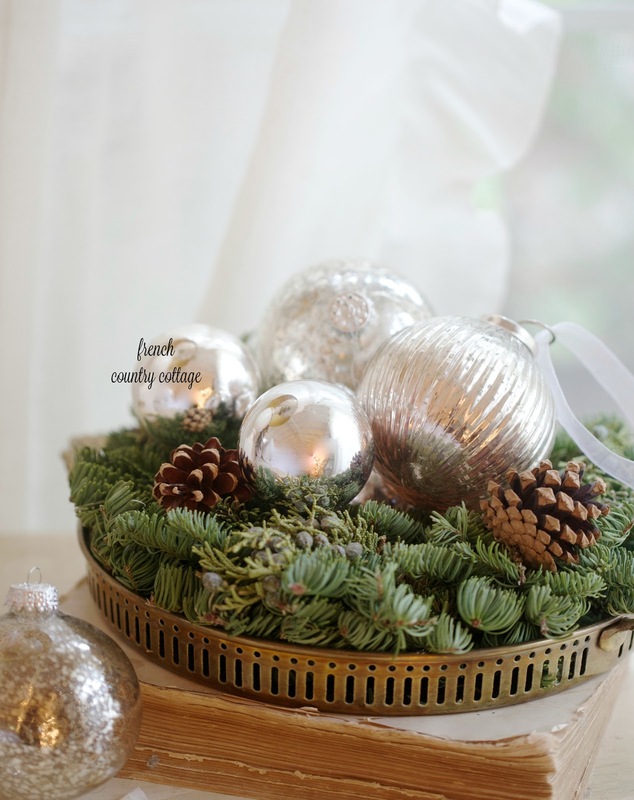 Your Christmas touches are perfectly beautiful, Courtney! Love all your beautiful trees! I'm oohing and aaahing as I look through all the beautiful photos. Courtney, you did an excellent joy. Everything looks magical and so breath-taking. 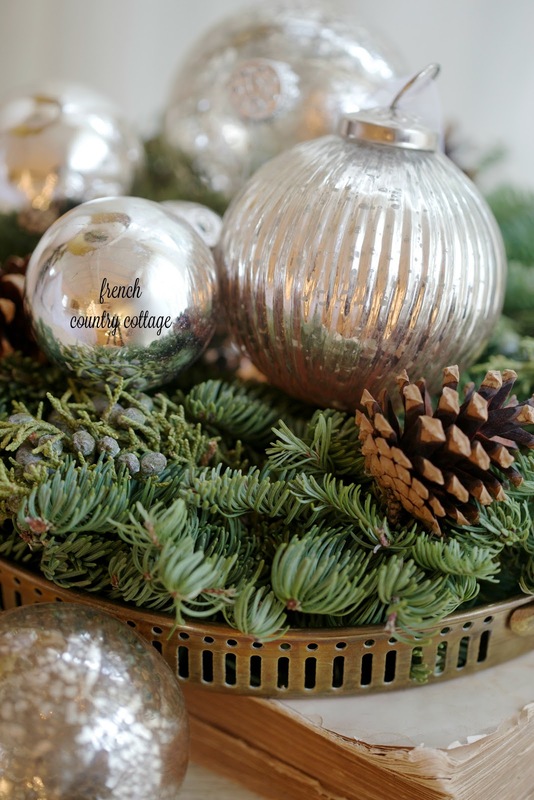 And then, well, and then I think where do you store all of these beautiful trees and decorations? Do you have a secret way or storing them. I know that is so boring but to me it's important. I can use any storage hints I can get. I love, love your decorations! They inspire me to do more. Have a great weekend. 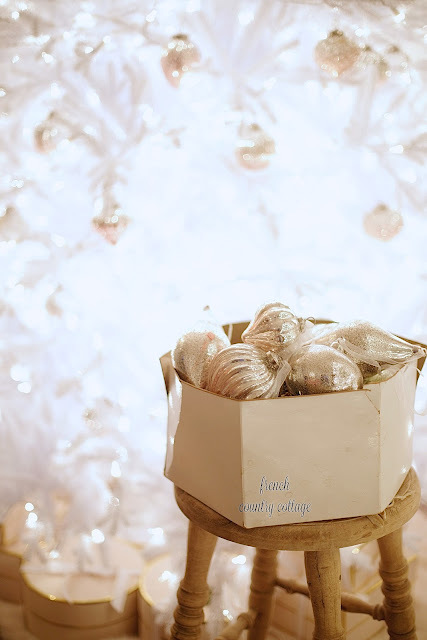 I tried to purchased the blush ornaments but when they came they were not really blush. Are the blush a limited edition? Did you purchase the ombre? 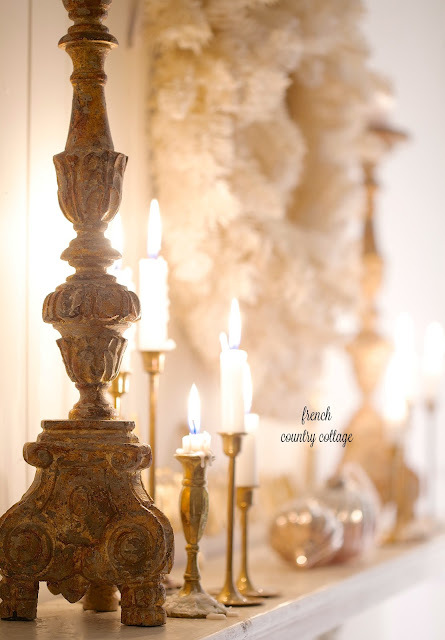 The French Country set comes in various sets with different colors. The Ombre are the ones that have a blush mercury glass. 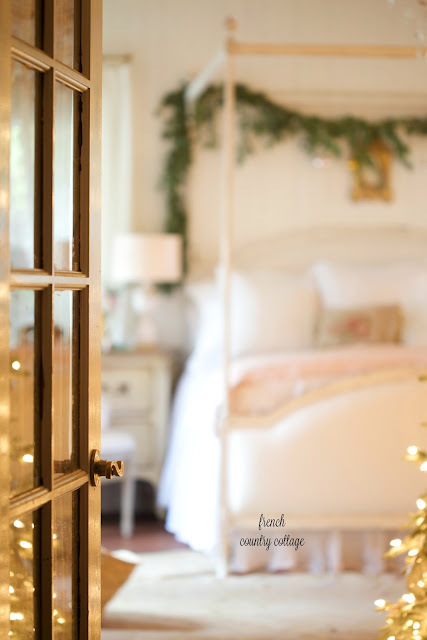 As always, your Christmas bedroom is beyond enchanting!....I can hear the Sugar Plum fairies dance across your floor!....your home depicts the magic of Christmas! Merry Christmas Courtney! 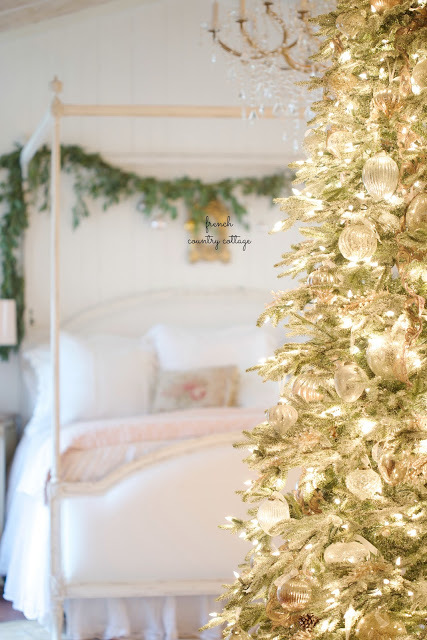 Courtney, your bedroom always inspires me, but with Christmas sprinkled around, it's incredibly dreamy! 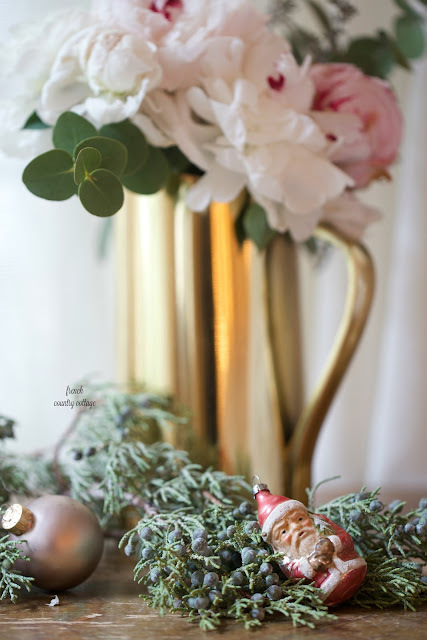 Your new white tree is so charming with the blush ornaments. I have a few Balsam Hill blush ones as well and I love them! Another beautiful tour by you! Thank you again for joining us. 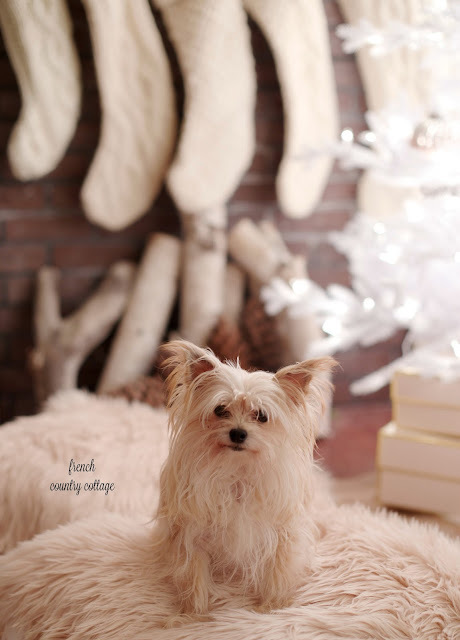 I hope you have the most wonderful Christmas! I am mesmerized! 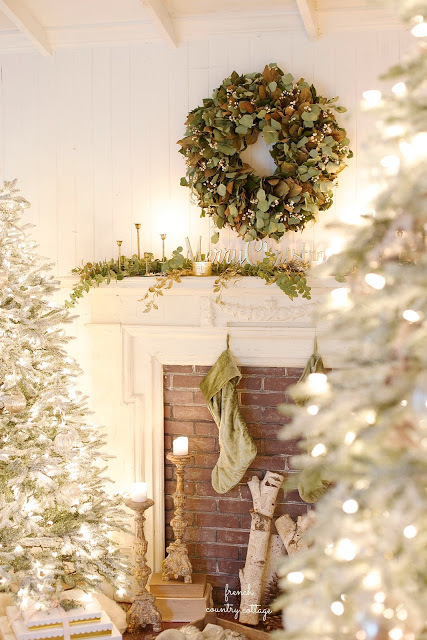 Beautiful shade of green stocking blending well with the eucalyptus mixed with the sparkle of the tree with the green of the tree showing through and the vintage candlesticks love the vintage color. So much to see. Love the ambiance! Christmas is such a joyful time full of blessings. 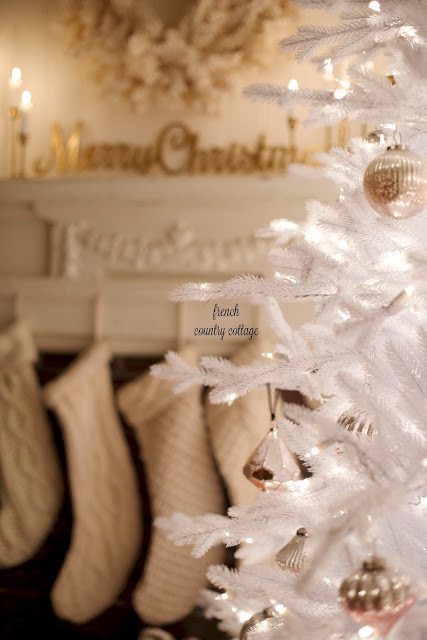 Have a blessed Christmas with your family. Any idea where to find artificial eucalyptus?